Asparagine is needed to maintain balance in the central nervous system, it prevents you from being either overly nervous or overly calm. Asparagine promotes the process by which one amino acid is transformed into another in the liver. This nonessential amino acid is found mostly in meat sources. The fact that they are termed "nonessential" does not mean that they are not necessary, only that they need not be obtained through the diet because the body can manufacture them as needed. Because aspartic acid increases stamina, it is good for fatigue and plays a vital role in metabolism. Chronic fatigue may result from the low levels of aspartic acid, because this leads to lowered cellular energy. It is beneficial for neural and brain disorders. It is good for athletes, and helps to protect the liver by aiding in the removal of excess ammonia. Aspartic acid combines with other amino acids to form molecules that absorb toxins and remove them from the bloodstream. 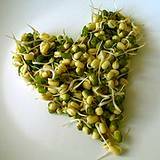 It aids cell function and the function of RNA, and DNA, which are the carriers of genetic information. It enhances the production of immunoglobulims and antibodies (immune system proteins). 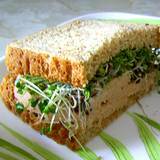 Plant protein, especially that found in sprouting seeds, contains an abundance of aspartic acid.